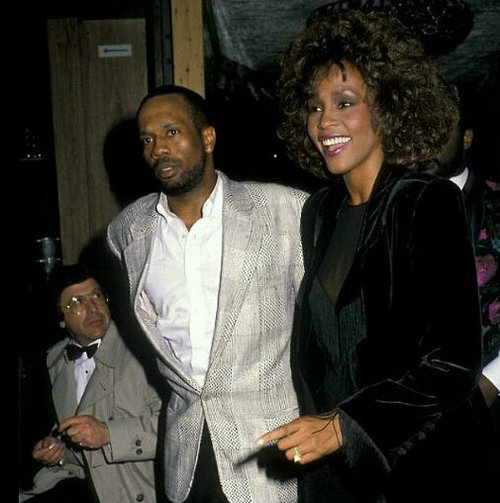 Cissy Houston recently revealed that she doesn't blame Whitney Houston's ex-husband, bad boy singer Bobby Brown, for getting her daughter hooked on drugs; it turns out Cissy's son Michael first introduced his younger sister Whitney to cocaine. With Cissy by his side, Michael admitted to Oprah Winfrey that he still carries that guilt with him. "I'm living but I'm not alive," he tells Winfrey on "Oprah's Next Chapter," which aired two days before the release of Cissy's memoir, "Remembering Whitney," today. "I feel responsible for her. I always have," he says. "I just felt like I should have taken better care of her." Whitney Houston died in February 2012 at 48. She drowned in a bathtub in her hotel suite in Los Angeles the night before the Grammy Awards. The autopsy revealed that cocaine and heart disease contributed to her death. After some of Winfrey's patented prodding, Michael confirms that he introduced her to cocaine in the 1980s, before she met Brown, but also claimed that back then, cocaine was acceptable in the entertainment industry. "It was available. It wasn't a bad word like it is now." "Because we didn't have the bodies in the street," Winfrey continued. "So that's the demon you live with?" "Every day. Every day. It's something I got live with the rest of my life."